Last week I mentioned my next book would be Mermaids in the Basement by Michael Lee West. That was before I got Abraham Lincoln: Vampire Hunter by Seth Grahame-Smith from the library, which I need to read for my April book club meeting. I’m a huge fan of the Buffy the Vampire Slayer series because of its action-packed episodes with a high dose of humor and wit. But reading a serious book about vampires is a different story, something I’ve never done before. I’m a quarter into it and I like it so far (note I said “like” it, not “love” it). Let’s hope the rest is just as entertaining. My So-Called Freelance Life: How to Survive and Thrive as a Creative Professional for Hire by Michelle Goodman. If you want to read a book on freelancing, this one contains everything you need to know. I’ve read a few before so I didn’t really learn anything new. I wanted to hear about this topic from a woman’s perspective but I quickly realized Goodman is not married and doesn’t have children, so she didn’t offer much advice on balancing work and super-busy life. Besides Mermaids in the Basement, I just got new books from the library I’m sure I won’t be able to renew in three weeks because of their popularity. 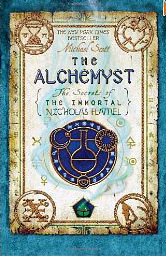 So I think my next pick will be the #5 in Michael Scott’s The Secrets of the Immortal Nicholas Flamel, The Warlock (yeah!). I’ll probably read it in just a few days (and lose precious hours of sleep along the way), and then move on to the rest of the books on my shelf. – National Geographic for kids First Big Book of Why. This is a great book for kids ages 3 to 7, answering their most common questions, such as “Why do donuts and bagels have holes?” or “Why do owls throw up?” I too have learned a few things, including that ice worms melt if they get too warm, and the longest type of worm is 3 feet long (yikes!). – Fall Mixed Up by Bob Raczka. A HILARIOUS story on the joys and delights of the fall season, described in mixed-up verse and illustrations. “Bears gather nuts. Geese hibernate. Squirrels fly south in big figure eights.” My kids love this book! – The Useful Moose: A Truthful, Moose-Full Tale by Fiona Robinson. A young girl finds out a lot of moose are vacationing in her city. She invites three of them to rest at their home, and her family quickly discovers how useful moose can be. Who knew moose had such great housekeeping skills? Little Bunny Foo Foo : The Real Story by Cori Doerrfeld. A very funny twist on the original story. Find out why Little Bunny Foo Foo had a good reason to bop those field mice on the head, and why the Good Fairy should have been more careful threatening to change the bunny into something else. Humbug Rabbit by Lorna Balian. We read this book last Easter and again this year. 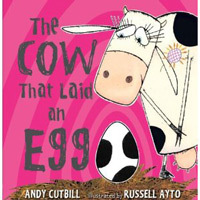 This is probably the funniest book on Easter. Above ground, Gracie the hen hides her eggs from Grandma, causing an egg hunt dilemma. Underground, Father Rabbit insists on telling his children he’s not the Easter Rabbit. Will everything be fixed by Easter morning? I just ordered a whole bunch of books on dinosaurs, good manners and some for early readers, so I’ll see what comes in first.